Adalbert’s is a producer and distributor, whose mission is to bring tea and herbal infusions of the highest quality to the Polish market. In search of the finest flavours and the most fascinating inspirations, we went to the kingdom of tea leaves – Sri Lanka. 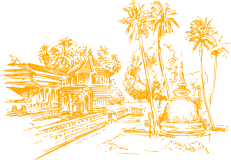 Our ambition is to allow everyone to taste Ceylon tea – a type of infusion closest to the one that was considered true tee almost two centuries ago. As the British came to Sri Lanka with tea leaves from China, now Sir Adalbert comes to Poland with the greatest treasure of Ceylon. Our offer includes both carefully selected tea brands from Sri Lanka, as well as Sir Adalbert’s blends and infusions. All of the delicious products will have one common denominator – Ceylon tea leaves of the highest quality. 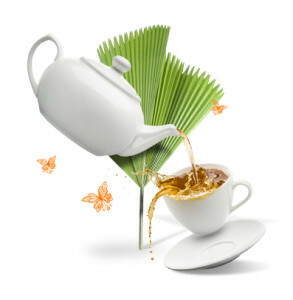 In order to enjoy the authentic and deep taste of tea you need to have knowledge about the proper way of brewing it. The tradition and art of preparing infusion from tea leaves is hundreds of years old, but it still provides unique experiences for all those who posses its secrets. Our delicious teas are available in many store chains throughout the country. 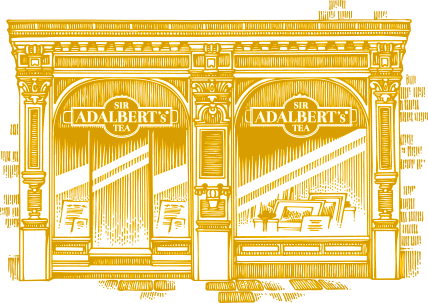 Want to know where is the closest store to buy Adalbert’s products? Check it out! Adalbert’s Sp. z o.o. Sp. K.
Want to learn even more about our products? To get all the answers, please contact us by e-mail or give us a call. We look forward to your messages!